We provide full locksmith services for all vehicles, domestic and foreign! If you’re looking for automotive locksmith services, look no further than the pros at 713 Locksmith Houston. We offer complete locksmith services for Houston, TX drivers. With 5+ years experience and up front pricing, you’ll love our fast and friendly, 24x7 locksmith services. All of our automotive locksmith Houston technicians are licensed, bonded, and insured. You can rest assured that you’ll receive quality service with our company. With a speedy response guarantee and up front pricing, you won’t have any unexpected charges. Our expert technicians and mobile locksmiths can offer you the following services when you need them. We know what it’s like to only have one set of keys, for this reason we offer to make spare keys for all makes and models, foreign and domestic. We can make any type of key you need including programming transponder keys servicing chipped keys, providing laser key cutting, as well as replacing lost car keys, broken car keys, and extracting broken or jammed car keys. If you’ve ever put your key in the ignition only to have it suddenly not fit or simply not work, you know well the frustration of needing repairs. Relax, it’s okay and you’re not stranded. Give us a call and let us do this for you. Don’t worry about having to deal with it yourself. Our professionals know how to fix ignition switches as well as replace them when necessary. Everyone’s done it, left the key in the ignition and accidentally locked themselves out of their own car. That sudden feeling of panic will turn to relief when you call 713 Locksmith Houston. Our lockout services will have you back in your car in no time. No need to stress. If you, like many, have accidentally locked the keys in the trunk, don’t worry, we can also unlock trunks for you and you won’t have to be stranded. We can also make new car keys to match both the ignition and your trunk. Don’t be intimidated by keys that seem to be smarter than you are. We can help you with this as well. From car key duplication to car key cutting, we’ve got what it takes to have you back on the road in no time. 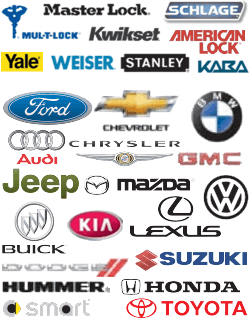 We also repair car key fobs and remotes so you can start your car with ease from anywhere at any time. We know that you need your car and that your smart keys need to work when they’re supposed to and like they’re supposed to. Leave the programming to us – we know you’re in a hurry and we’ll get you back on the road in no time at all. Focus on what you need to get done and leave your smart key issues to us. Our technicians undergo hours upon hours of training and are ready to tackle any situation that may arise. They stay up to date on the latest technology and know how to program proximity and smart car keys inside out. If you’re seeking an automotive locksmith Houston company, call the best of the best. Give us a call today and let us show you what we mean by 24x7 locksmith service. At 713 Locksmith Houston, our 5+ years experience mean that we can offer you complete locksmith service for Houston, TX and surrounding areas. We know that time is valuable to you and our goal is to save you both time and money. Our automotive locksmith Houston services are top of the line and will give you peace of mind. Give us a call today and let us show you what we can do for you. With up front pricing, you simply can’t go wrong at 713 Locksmith Houston. Our quality services mean you’ll get what you pay for, and more. If you’re looking for an automotive locksmith Houston drivers can trust, look no further. You’ve come to the right place. Give us a call today and let us show you what we mean by service. Automotive Locksmith Houston, TX Company http://713locksmith.com/houston-auto-locksmith/ 4.0/5 based upon 40 reviews.